The National Retail Federation (NRF) PROTECT Conference’s Ring of Excellence Award recognizes pioneers in the retail loss prevention and asset protection community whose honor, integrity and character have served as a lasting example for the loss prevention profession. The achievements and outstanding leadership of these honorees have helped shape the industry by contributing to the ongoing growth and development of the loss prevention/asset protection community, creating and enhancing loss prevention best practices, and building strong loss prevention teams. Inductees to the Ring of Excellence are evaluated based on a variety of criteria, to include distinguished achievement in leadership, the development of new ideas, techniques, or technologies that advance our shared mission, outstanding service to multiple organizations serving the industry, their contributions to society as a whole, and many other ways that they have helped advance—and represent—the best of the retail loss prevention/asset protection industry. The NRF is proud to announce that the 2018 recipient of the NRF PROTECT Ring of Excellence is Bob MacLea. MacLea was one of the retail industry’s longest-tenured and most-respected loss prevention executives. Beginning his career as a security officer in 1975 with Marshalls Department Stores, MacLea steadily rose through the ranks at TJX Companies taking on positions with increasing responsibility. After 41 years of service he ultimately retired as senior vice president of loss prevention in October 2016. Bob received a business degree from Bentley College and was a strong advocate for continued education and professional training. Serving with various initiatves across the industry, he was an active proponent for the advancement of the loss prevention profession. He was a member of the loss prevention advisory council for the National Retail Federation, served on the board of directors for the Loss Prevention Foundation and was an active participant with the executive committee and audit committee, served on the editorial board for LP Magazine; and as one of the founding members of the Loss Prevention Research Council. He was always one of the first to volunteer his team’s resources to support any industry effort that could possibly add value to advancing the profession. He actively engaged the resources at TJX to advance the Loss Prevention Research Council and its many research projects. He strongly supported resources and content development for both the LPQ and LPC certifications, advocating that TJX Companies remain among the industry leaders in certifying its LP/AP team members. He regularly encouraged his team to get involved in important industry initiatives to include topics such as diversity, organized retail crime, the women in LP committee, and other industry-shaping programs. MacLea always believed you must be involved with both your community and your profession, and he lived up to that belief. Over the years he gave himself to philanthropy, supporting many charitable initiatives such as the Youth Business Institute, Minority Suppliers, the NAACP. Lazarus House, Big Brother and Big Sister as well as Making Strides for Breast Cancer. His innovation, compassion, and drive for excellence has raised the bar for loss prevention as an industry, providing a stellar example for all of us to follow. His focus on people was recognized with LP Magazine’s first “Magpie” Excellence Award for Community Service in the January-February 2017 print edition of the magazine. 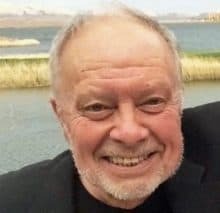 Many individuals throughout the loss prevention profession expressed their heartbreak upon the news of MacLea’s passing in March of this year. Our sincerest gratitude to the entire MacLea family, and our congratulations to everyone within his extended family at TJX Companies as we celebrate Bob’s career and all of his life accomplishments. He will be deeply missed, but not forgotten.